Our under-23s have suffered a third loss since the beginning of last week, this time losing 2-1 at Nottingham Forest, and it leaves the door open now for Birmingham to go and claim that second play-off spot from the north group. A goal from Jamie Ward, who almost a decade ago was getting himself sent off against us at Wembley, in just the 6th minute was followed by a second scored by substitute Yassine En-Neyah for Forest with ours a stoppage time consolation from central defender Bobby Thomas (pictured). It’s a third defeat in four in the Professional Development League, and a fifth defeat in nine in 2019, and this recent bad run has come at a time when a play-off place was beginning to look likely. Birmingham play tomorrow with the opportunity to pull clear of both us and Bolton who are behind on goal difference. 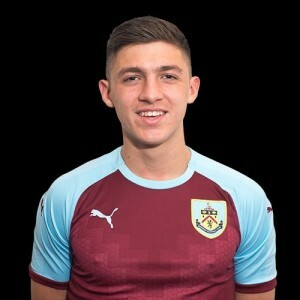 Burnley: Aidan Stone, Jordan Cropper, Bobby Thomas, Scott Wilson, Anthony Glennon, Tunde Bayode, Mark Howarth (Josh Benson ht, James Clarke 84), Christian N’Guessan, Tinashe Chakwana, Will Harris (Dan Agyei ht), Rob Harker. Subs not used: Kai Calderbank-Park, Teddy Perkins. Nottingham Forest: Jordan Wright, Sam Byram, Danny Preston (Konstantinos Megaritis 75), Jake Taylor, Tobias Figueiredo (Jayden Richardson 59), Ethan Stewart, Jamie Ward (Yassine En-Neyah 59), Tyrese Fornah, Kieran Hayes, Brennan Johnson, Alex Mighten. Subs not used: Liam Bossin, Josef Hefele.